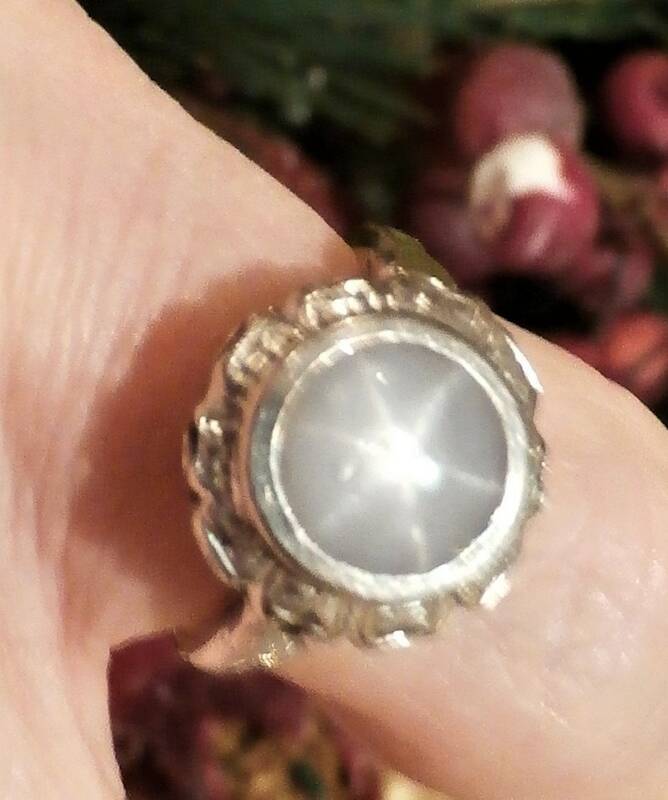 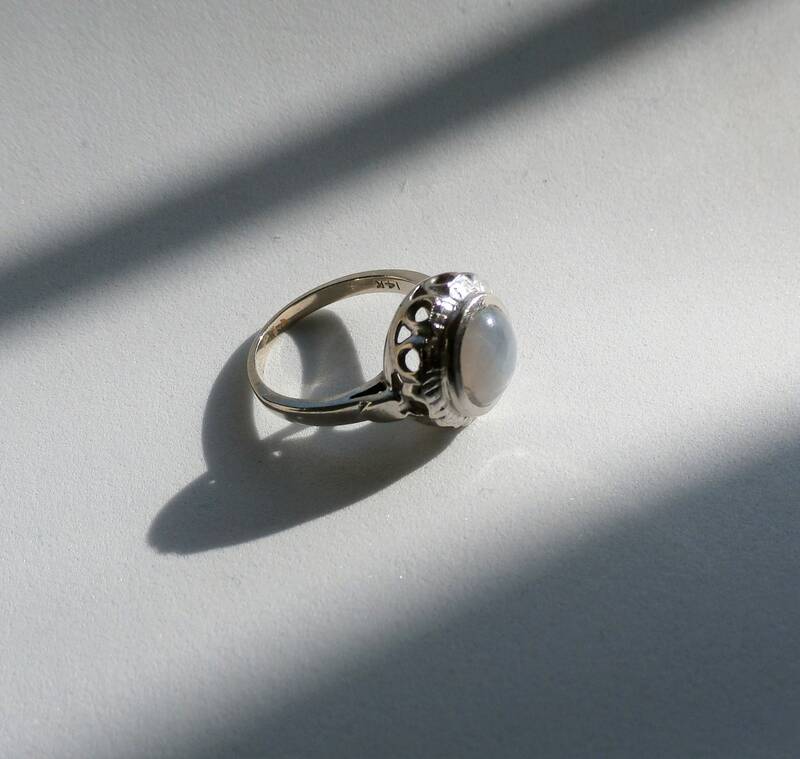 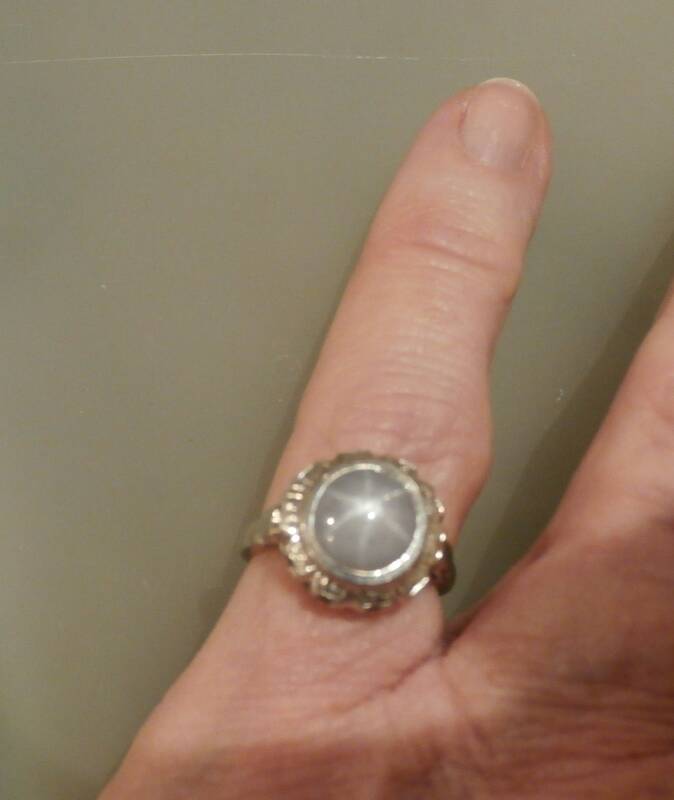 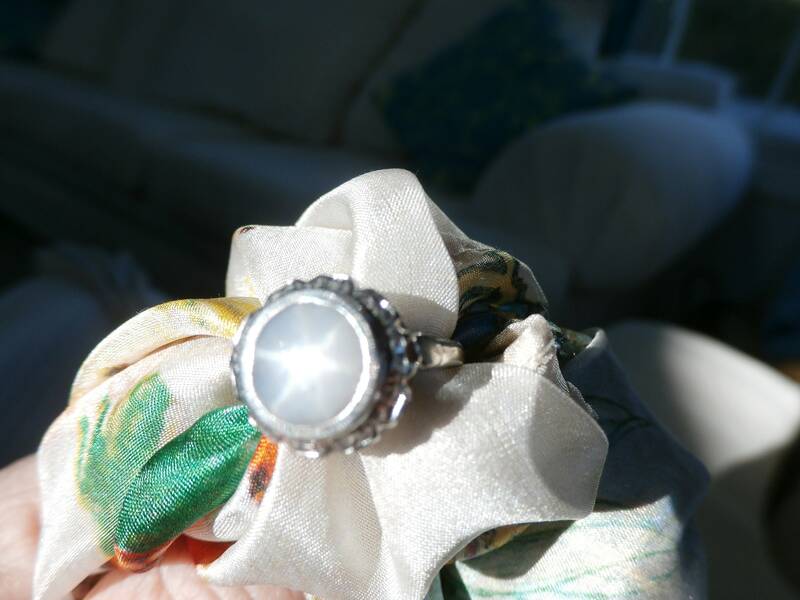 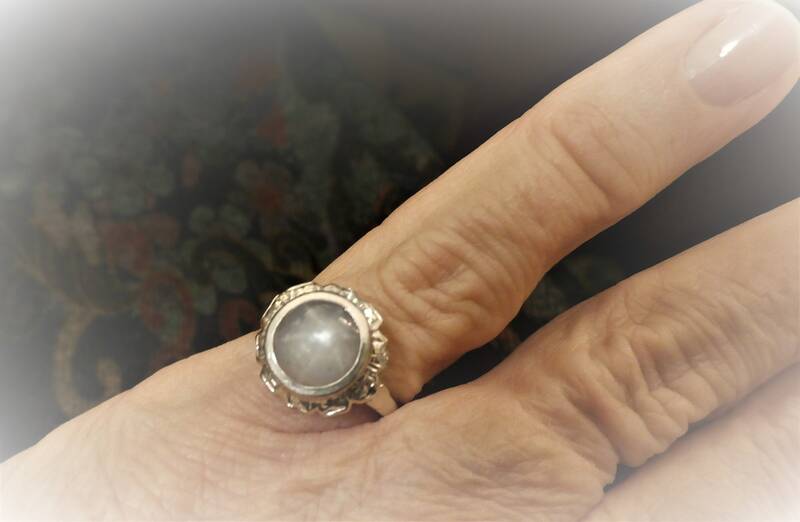 Vintage/Edwardian Style Star Sapphire from the 1960's. 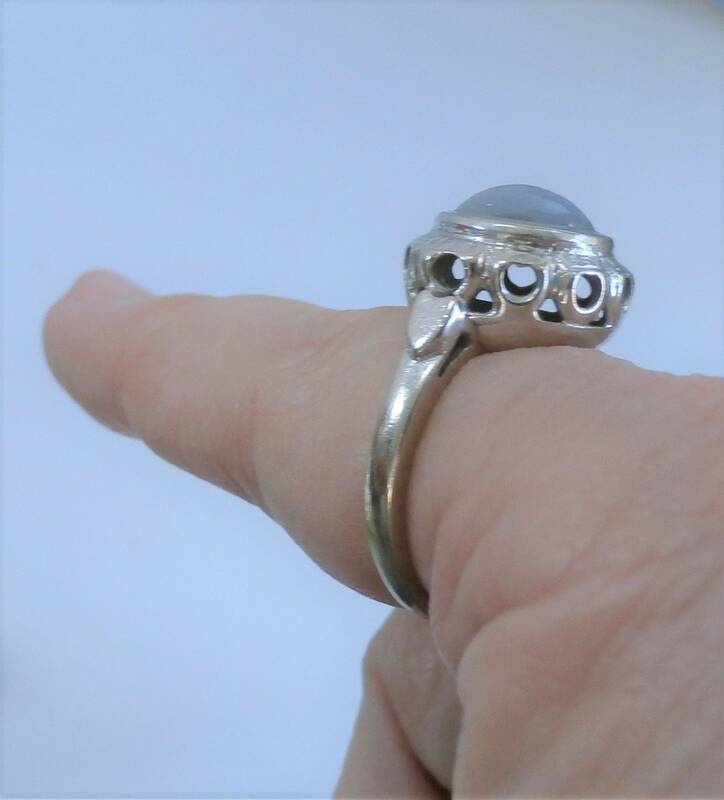 Blue grey round cabochon set in a white 14k gold gallery setting. 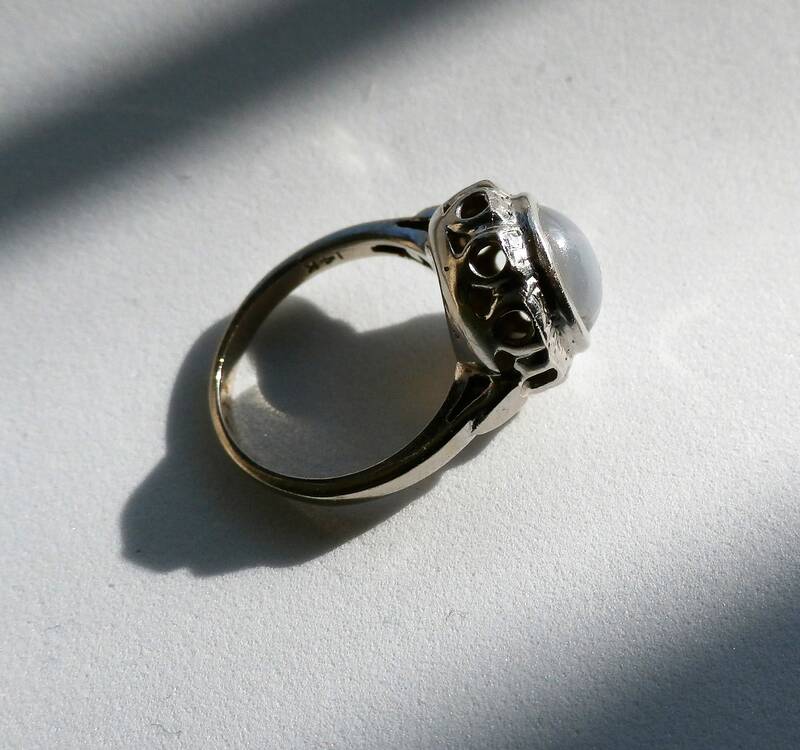 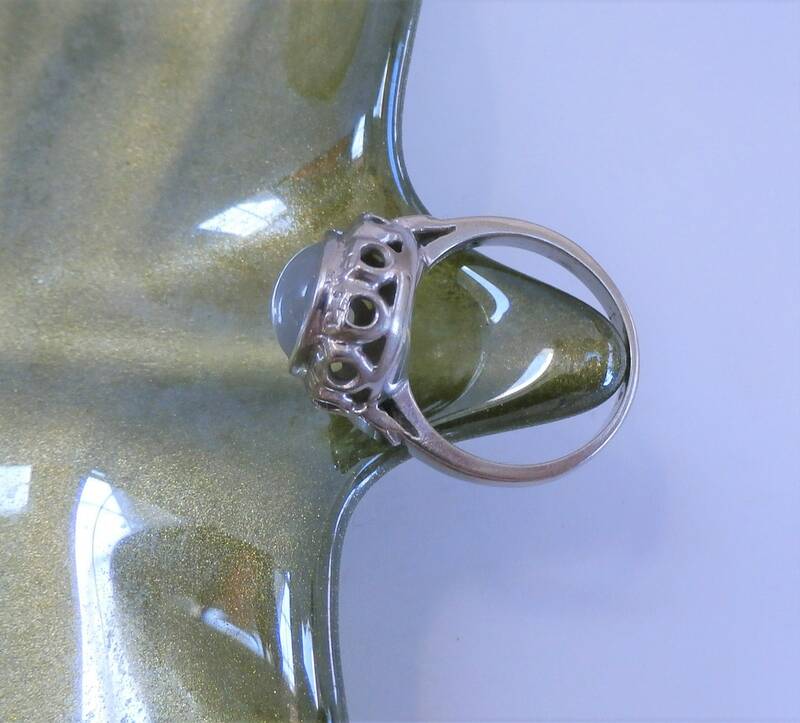 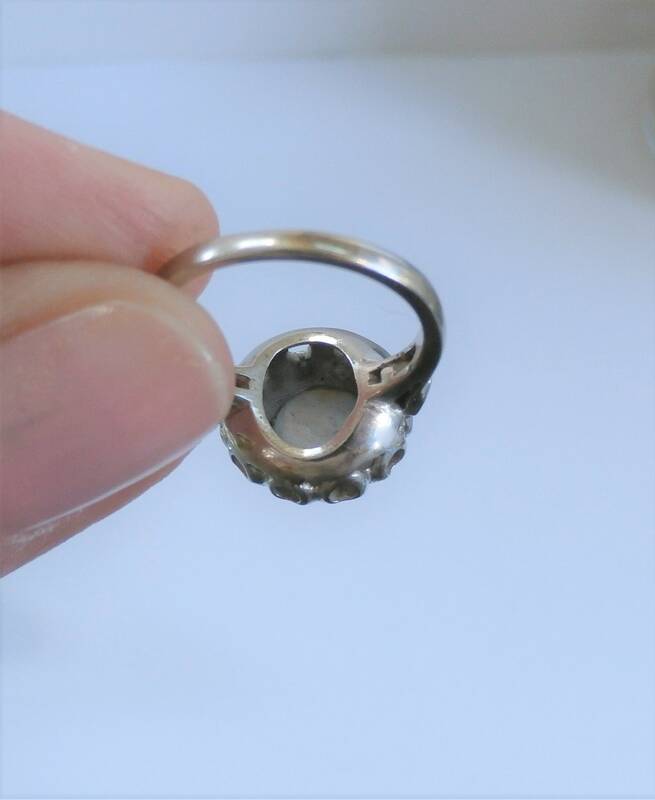 Setting top is 13mm round lacy floral crown, with an 8 mm star sapphire, open underneath gallery. 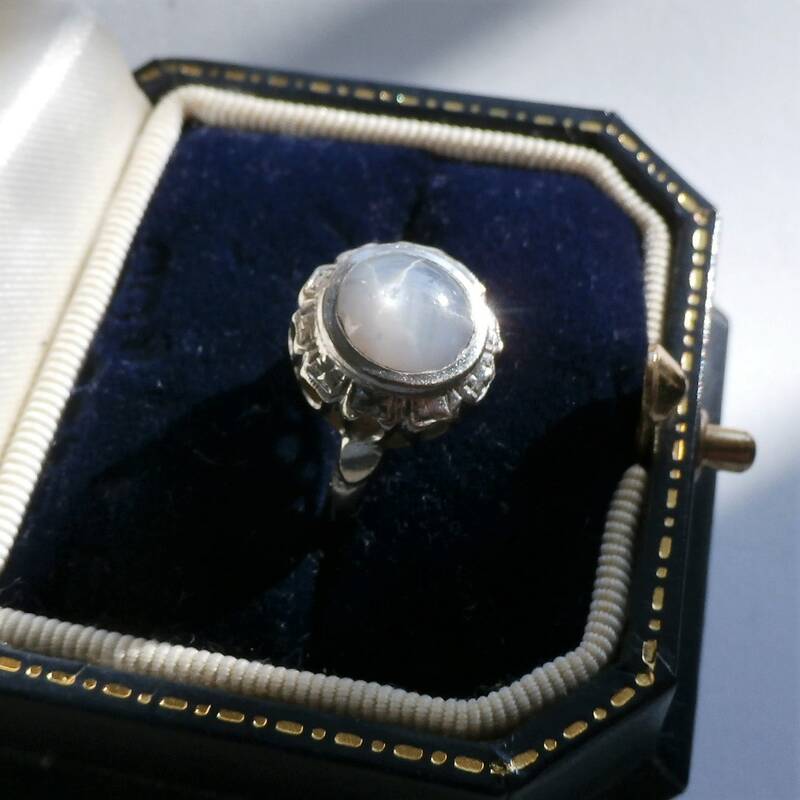 Box pictured not included, a similar box will be included for shipping.